Augustine Azuka “Jay-Jay” Okocha (so good they named him twice, as the famous terrace chant goes!) is a skillful attacking midfielder with a terrific flair for Soccer that rubs off when speaking about his exploits on the field at a range of after dinner awards. A firm fan favourite for his trickery with the ball, Jay Jay is always a hit with dinner guests as he talks of his time with teams including Fenerbahçe, Hull, Paris St-Germain and most famously in this country, Bolton. Born in Enugu, Nigeria, Jay Jay first got the Soccer bug when kicking around a makeshift ball in the streets around his hometown. It was years later when, in a 1994 FIFA World Cup Qualifier, Okocha played his first official game for Nigeria. In an ensuing 73 caps, the man who released a Superskills with Jay-Jay DVD in 2004 managed to net 14 goals and set up countless others. He’s often cited as one of the best African Soccer players never to have won the African Player of Year award, though he did come second in both 1998 and 2004. 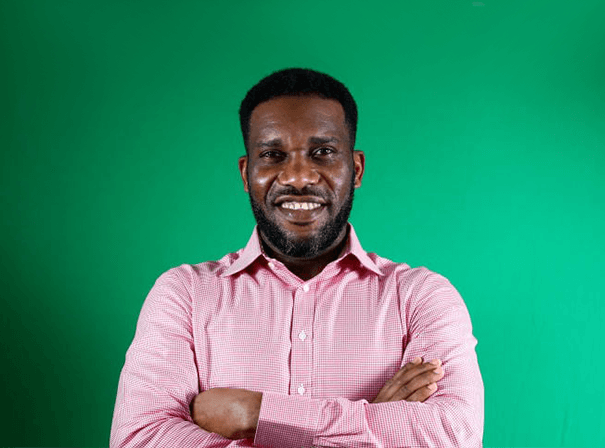 As sometime captain at Bolton, Okocha led his side to their first cup final in almost a decade whilst playing a leading role in the club’s many Premiership battles. Through his time in Soccer, Jay Jay earned a deserving reputation for mesmerising step-overs and a great ability to leave defenders standing. It’s facts like these which make Jay Jay so popular as an after dinner speaker, be it to enthuse or inspire children or business professionals.